If you are in your 60s and believe you are unable to continue working full time due to health problems, you may be considering filing for Social Security Retirement benefits. But, before you do so, it may be worthwhile to consider Social Security Disability as an alternative option that may save you thousands of dollars. Frequently, you an file a joint application that gives you the best of both worlds. If, after reading this post, you decide to file for disability, know that our Social Security Disability lawyers can help and offer free consultations. Historically, the full retirement age for Social Security Retirement was the age of 65. However, in recent years the full retirement age has begun to slowly increase over time. If you were born before 1954, your full retirement age is considered to be 66 years. If you were born between 1955 and 1959, the full retirement age gradually increases for each year. For those born in 1955 the age is 66 years and 2 months, for 1956 the age is 66 years and 4 months. Individual born in 1957 reach full retirement age at 66 years and 6 months, for 1958 full retirement age is reached at 66 years and 8 months, and for 1959 full retirement is achieved at 66 years and 10 months. Finally, for any individual born in 1967 or later, the full retirement age for Social Security is 67 years. If you have not yet reached full retirement age, but are considering collecting Social Security because of health problems that prevent you from working full time, there is the option to take early retirement. Unlike the full retirement age, the early retirement age has not increased gradually, instead it is still possible to take early retirement at age 62. By doing so, an individual receives a reduced amount of benefits instead of receiving their full amount of benefits. For individuals born after 1960, taking early retirement at age 62 will mean receiving 70 percent of the full benefit they would receive if they waited until reaching full retirement age. The Social Security retirement age calculator can help determine the exact amount of reduced benefits an individual may receive if they were born between 1955 and 1959. However, while Social Security early retirement may be an option if you are unable to continue to work full time due to health problems, it may not be the best option. In fact, by taking early retirement benefits, you may people giving away thousands of dollars in Social Security benefits by taking the reduced rate. Instead of taking early retirement benefits, it may be worthwhile instead to consider applying for Social Security Disability. 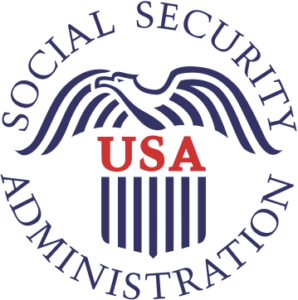 Individuals who receive Social Security Disability benefits receive the same amount as they would receive in full, unreduced retirement age benefits. And, once an individual reaches full retirement age, the Social Security Disability benefits automatically convert from disability benefits to retirement benefits. Navigating Social Security benefits and deciding what the best option is for you can be a difficult and complicated process. Every case has its own circumstances and facts that may determine which option is right for you. Due to this, if you are considering early retirement due to health problems, you should contact an experienced Social Security disability attorney prior to making any decision. Our office will do everything in our power to aid you in the process of obtaining Social Security disability benefits. Contact one of our attorneys today for a free consultation.